3. Software and Instruction for a Better Reading Program for all K-12 Schools and Colleges (see description below). 4. A School and Community Health Program, Exclusively Through Better Reading. 5.Text Preparation (see description below). 6. Teacher and Staff Training. This includes a reading curriculum already formatted and ready to use. Our Reading Approach In A Nutshell. We offer a progression of six different ways to immediately read and comprehend text. This is a voice and text approach. Each student starts at the level they are currently at and moves forward. At each level we teach the student how to overcome the bad reading habits associated with that level, and then advance. Every student in K-12th grade, and college and above can advance their reading with this approach, and develop transferrable skills for independent reading. Any novel, textbook, or Internet article can be quickly formatted and read with this approach. Students quickly learn to read at grade level, and then at up to 350 words per minute and higher, with high comprehension, focus, memory, and enjoyment. WHO IS OUR TUTORING/CLASSROOM PROGRAM FOR? 1. Any Student or Adult (12-90) who wants to learn to read, or improve his or her current reading; Read This Article Then Text or Call Us At 978-927-9234. Feel free to call in the evening. Alternatively, E-mail us at proread@tiac.net. Share with us your challenges and the goals you wish to achieve. If you are frustrated or embarrassed about your reading, or just held back by your reading, or keeping a secret about your reading from someone you love, give us a call; we will help you fix up your reading and get on with your life. Read this Article Then Text or Call Us At 978-927-9234. Sign Up for Individual or Small-Group Classes. 2. All Students of any level of ability in Elementary School, Middle School, High School, College, Grad School, and all adults struggling with poor comprehension, poor focus, low reading speed, high anxiety, and shyness; and who are often specifically challenged with Dyslexia, other LD, ELL, and/or ADHD. (We specialize in providing this group with cost effective, state-of-the-art teaching and methodology, and over 45 years of experience.) Read This Article Then Text or Call 978-927-9234. Get the help you need. Feel free to call in the evening. Alternatively, E-mail us at proread@tiac.net. We help students who want to learn how to read well enough to score well on the SAT, ACT, GED, or GRE and then do well in their college and grad school studies, and/or work. If you repeatedly fail the same entrance or qualifying test, or do poorly on course exams, here is the best advise we can give you. The reason you are repeatedly failing tests or doing poorly is because you think the solution is to get a study guide and practice on similar tests. This is completely wrong and will guarantee that you continue to fail or do poorly each time you take a test. What you need to do first is to improve your basic reading skills of reading comprehension, speed, recall, and vocabulary, as well as overcome your test anxiety. Improving your reading skills will simultaneously give you the real advance you need for the future. This is what we specialize in and our approach works. Despite a frustrating or horrible reading experience in middle school and/or high school, almost all adults are capable of working with an expert to learn how to Enjoy Reading with excellent comprehension and recall. The process is no different form learning a new sport or skill like driving. The keys are learning new technique from an expert and practicing. 3. Parents homeschooling children who struggle to read. Learn how to help your child: Read This Article Then Text or Call 978-927-9234. WHAT DO WE HELP YOU WITH? 1. Overcoming The 18 Bad Reading Habits, Poor Comprehension, Low Reading Speed, Reading Anxiety, Dyslexia, Other LD, ELL, ADHD, Autism, MD, Aphasia, Audio Processing Delay, Dementia, Brain Trauma, Irlen Syndrome, Narcolepsy, Many Mental Challenges, And Low Self-Confidence. In addition, we help Gifted and Talented students. We can also help you read your actual assignments. 2. Improving your ability to Listen, Speak, Remember, Take Notes, Spell, and Write. Learn how to improve your writing and these other areas by improving your reading. 3. Building A High School Vocabulary (SAT, ACT), Done On Your iPhone Or Other iOS, Or Mac OS Device. This is an interactive voice and text approach, based on word roots (not memorization), with one paragraph of text per word. Text or Call us to learn more and see a free demo: 978-927-9234. 4. TEXT PREPARATION. We offer same day service, with customized pausing at punctuation points, and formatted as needed; prepared to read with or without computer voice; call 978-927-9234; for all books and Internet articles. A new way to read: read before the sound, with the sound, or just ahead of the sound; or just listen at variable speed. HOW DO OUR CLASSES TAKE PLACE? 1. Nature of Classes. 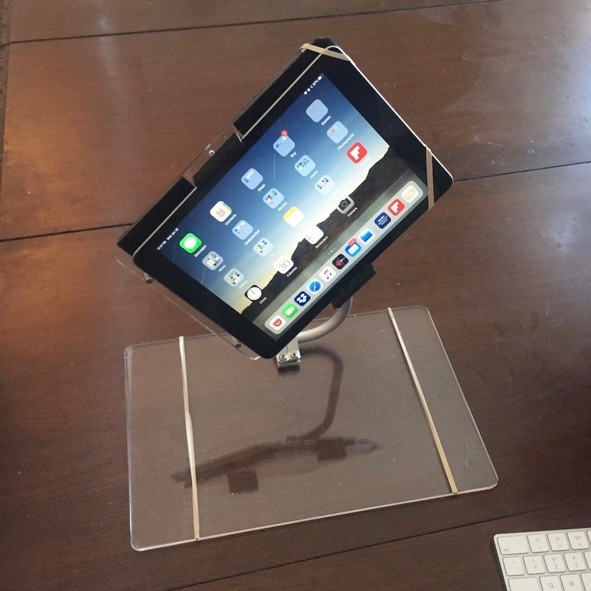 We offer at home, small-group instruction over the phone, as all parties read the same computer text on the Internet. We have figured out how to offer live, individual, 1on1 instruction in a small group setting, and this is what we provide. Classes are at a fixed time each week. What DO OUR LESSONS COST? 1. Cost. Our 14-lesson program costs $98.00 ($7.00 per lesson) paid in full before starting. These are Group Classes which last for 40 minutes each. You can pay for classes by PayPal, MoneyCard (Walmart, etc. ), or Credit or Debit Card. We accept Visa, Master Card, and American Express. You can also pay with account transfer. Payment is required in advance of class. 2. In addition to the 1-on-1 teaching, there are seven FREE interactive computer-voice and text sessions each week, which you do independently, using our specially formatted text for your current needs, with the highlighted text lengthening as you progress (first by word, then by phrase, then by punctuation interval, then by sentence, and finally by paragraph). 3. Learn the six ways to immediately reduce the cost of instruction by over 90%. Read This Article then Text or Call us for a free chat: Text or Call 978-927-9234. Alternatively, E-mail us at proread@tiac.net and request “Article”. 4. Required Participation. The secret to success in reading improvement at low cost is very simple: success is directly proportional to how many lessons you go through and how often you practice independently with interactive computer-voice. There is no magic wand for instant improvement. Most people need at least two months of lessons with independent daily practice (20-30 minutes). There are ten subject areas that you have to master. This often means changing your priorities for a couple of months. HOW MANY LESSONS ARE NEEDED? Our Basic Course consists of 14 lessons. If you have one lesson a week, the course takes 3 months. HOW DOES OUR SOFTWARE/TRAINING WORK? 1. 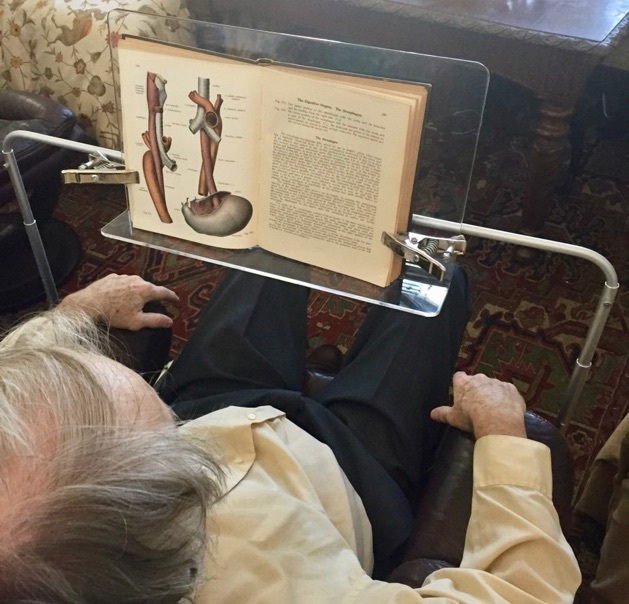 Our software allows you to read a word at a time, a phrase at a time, a punctuation interval at a time, a sentence at a time, a paragraph at a time, or a chapter at a time, all with interactive sound and at variable speed. These six intervals are called the Six Cognitive Intervals of reading. In our training you progress up through these six cognitive intervals. A Punctuation Interval is all the words from the beginning of the sentence to the first comma, semicolon or period, whichever comes first. The second Punctuation Interval begins at the first word after the end of the first Punctuation Interval, and so on to the end of the sentence. 2. You start by reading the text out loud ahead of the computer voice, and then press to hear the computer voice when ready. If you made a mistake or stumbled, you repeat the correct sound of what you heard, reading the text correctly and fluently. You can repeat the computer voice as often as desired. 3. Later on you read the text silently with the computer voice. 4. In the advanced stages, you read the text silently just ahead of the computer voice, with adjustable pausing after punctuation. 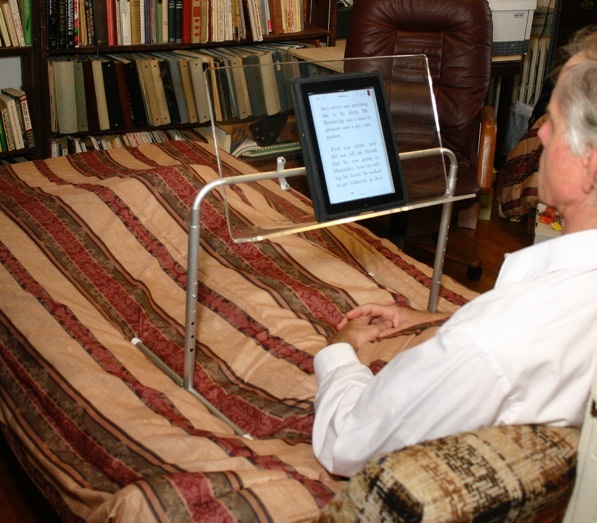 You read silently just ahead of the voice, at Variable Speed, from normal speaking rate (150 words per minute) up to 550 words per minute, with excellent comprehension; for any novel, textbook, or Internet article. The sound paces your growth. 5. In one of the advanced stages you can mute the voice and practice reading a sentence at a time with just the highlighting pacing your progress at increasing speed. This is excellent practice for developing transferrable skills. 6. As you progress through the different levels of software, we teach you what you need to know at each level to overcome the 18 Bad Reading Habits and other challenges. a. Developmentally challenged students can hear each phrase read aloud and then echo what they have heard, progressing at their own pace. b. Students suffering with Delayed Auditory Processing or ELL can read text phrase by phrase with computer voice. c. Autistic students can hear a punctuation interval read out loud and then go through this selection, saying and listening to each word in turn. 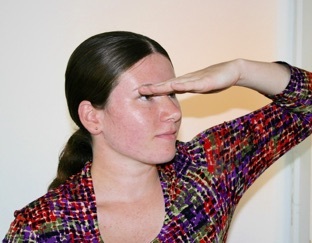 d. Students with Narcolepsy, Irlen Syndrome, Wandering Eye, Macular Degeneration, or severe Dyslexia can read text silently, without any horizontal eye movement, and almost no vertical eye movement. Note: Reading a phrase or punctuation interval at a time is excellent practice for all first and second graders in learning to read more than one word at a time. Students experience our course as a journey of personal discovery and empowerment. Turn reading into an Interactive Game, where you are at the controls. Achieve instant improvement in comprehension, reading speed, grades, and reading enjoyment. Text or Call Us To Learn How: 978-927-9234. Learn How To Intentionally Fall Asleep when you are tired. You can not read well or think productively if you are tired. 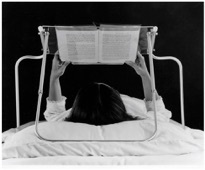 Many people can not fall asleep at night because they do not know the simple techniques of how to read on your side in bed to do this. Instead of relaxing into the story of a novel, they allow their active mind to dominate with its own thoughts of worry, grief, anxiety, control, mania, depression or voices. Text or Call us for our Free Demo and for professional consultation on how to quickly fall asleep: 978-927-9234. 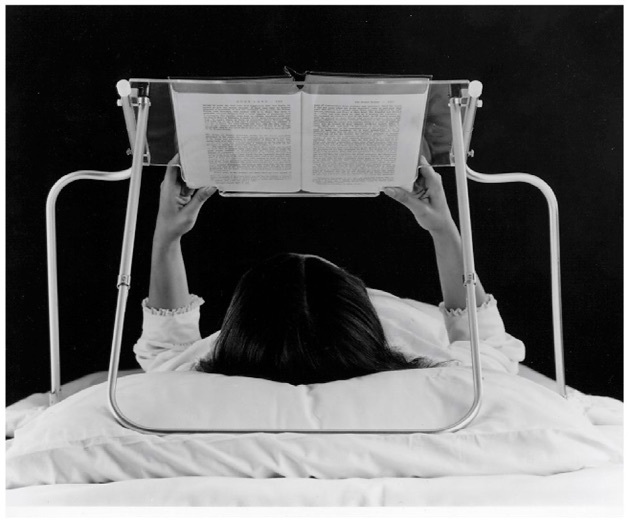 Learn How To Keep From Falling Asleep When Reading. Read this free article then Text or Call us for professional consultation: 978-927-9234. 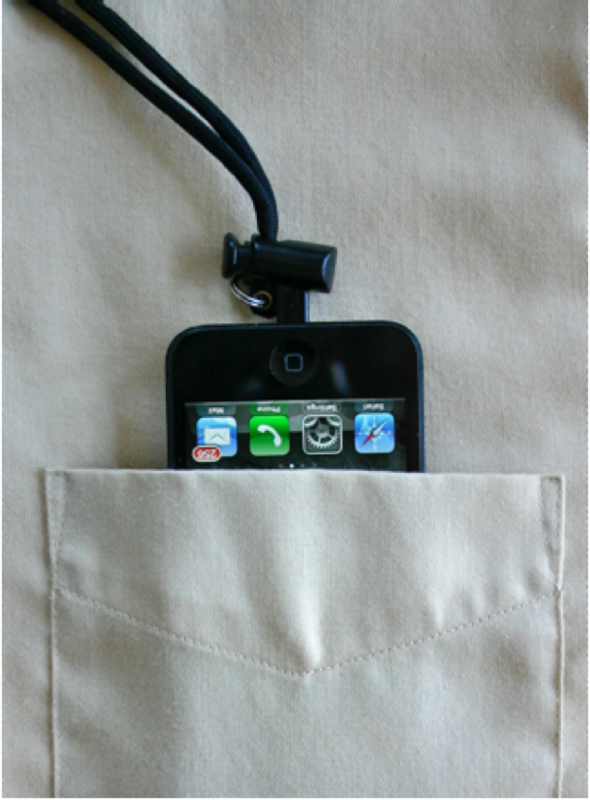 Adjustable Neck Strap (Lanyard) for Any iPhone or iPhone Case, or Any Other Smartphone or Smartphone Case. 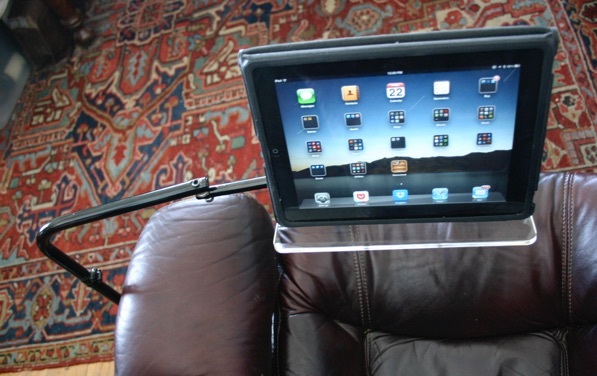 Read iPad or Tablet in Any Chair, Bed, or Sofa with iPad/Tablet Floor Stand. Reading can be one of the Greatest Joys in Life. Call or text to talk about your needs (no charge): 978-927-9234.
poor pronunciation, poor comprehension, & slow speed. 14 Lesson Course Using Live video Conferencing. Free Demo. Call Us about starting private lessons: 978-927-9234. Free Phonetics Course. Call us Day, night, or Weekend. A Comprehensive 14-class Reading improvement program for every Student (age 9-90), at any level, Including all diverse students. Everyone can read simultaneously, Each with his or her own customized settings to Improve comprehension through Instruction and reading great literature. We also make a line of Specialized Book and text holders. Our Fourteen lesson group class ($100 per person) is an entirely new way to teach reading improvement in which 1on1 instruction is presented simultaneously to all the members of a group, thereby being both highly affordable and productive, as well as enjoyable. Learn How. Students also practice independently, anytime and anywhere, using customized, interactive, computer voice and text in a progression of formats. Any book can be read this way. We Specialize in Helping Slow Readers. Reduce School Shootings With This Reading Program. Learn How to think as you read, and read at the speed you think. IMPROVE INSIGHT, PEACE, GRADES AND ENJOYMENT. Our Full course consists of Fourteen Reading Classes. Get 1on1 instruction in a small-group setting. Our Clients are all over the country, learn How. Work 1-on-1 with an Expert, or in groups. We HELP INDIVIDUALS, Schools, and Literacy centers. WE LOVE THE DIFFICULT CASES. A New Way To Read. Free Curriculum & Library. Sign Up for Our Small-Group Reading Classes. Instantly Read any Novel, textbook, Bible (KJV) or Internet Article quickly and well. START BY READING OUT LOUD BEFORE THE SOUND. THEN READ SILENTLY WITH SOUND. THEN Read SILENTLY just ahead of sound, using adjustable speed and adjustable pausing after punctuation; with each section of text highlighted as read; at speeds first up to normal reading speed of 150 words per minute, and then up to 350 W.P.M., and then 500+ W.P.M. ; with instant pausing and repeat. Progress from reading a phrase at a time, to reading a punctuation interval at a time , to reading a sentence at a time, to reading a paragraph at a time. Simultaneously Learn transferable Skills & overcome the 18 Bad reading Habits. Learn how to think as you read, & read at the speed you think. •WHO IS OUR TUTORING PROGRAM FOR? •WHAT DO WE HELP YOU WITH? •HOW DO OUR CLASSES TAKE PLACE? •HOW DOES OUR SOFTWARE/TRAINING WORK? •What DO OUR LESSONS COST? How Many? 1. Tutoring Help, 1-on-1, for all students and adults; All Ages 9-90; for all good, average, and struggling readers; Tutoring, Assessment, and Consultation. 2. Physical Reading Aids for Immediate Reading Improvement. Text or Call to discuss: 978-927-9234.